ACR1 CMM Autochange System - CMM Inc. The ACR1 autochanger is an eight port, fully integrated CMM probe and extension bar exchange system. 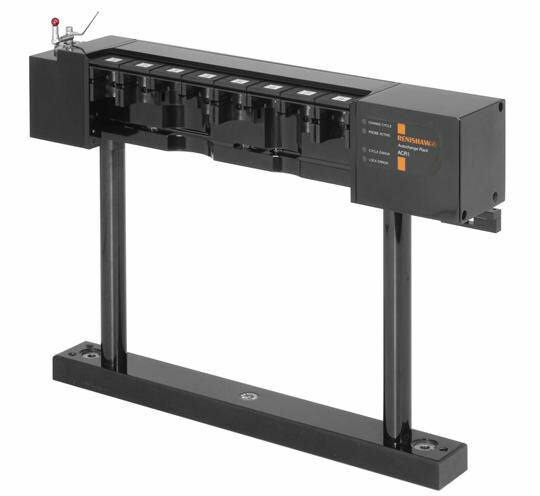 It enables fast, automatic probe exchange without the need for requalification. This is done by docking one probe and picking up another. The ACR1 is suitable for PH10M, PH10MQ motorised indexing heads, and the TP7M, SP600M, TP6A, OTP6M sensors.